I am not mailing state secrets, I just want first class postage. 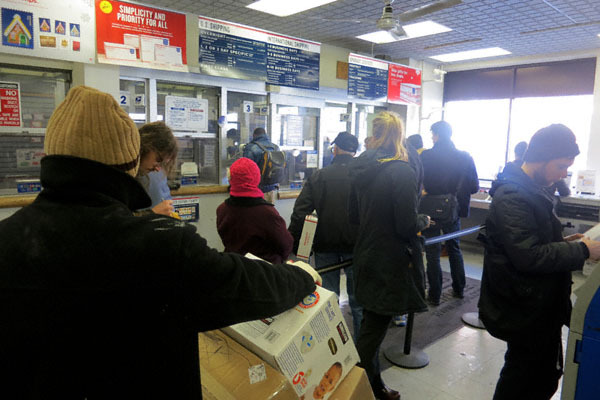 Notice to anyone who is dissatisfied with the Greenpoint Post Office on Meserole. USPS Postal Contact Station 124 and all your prayers will be answered.